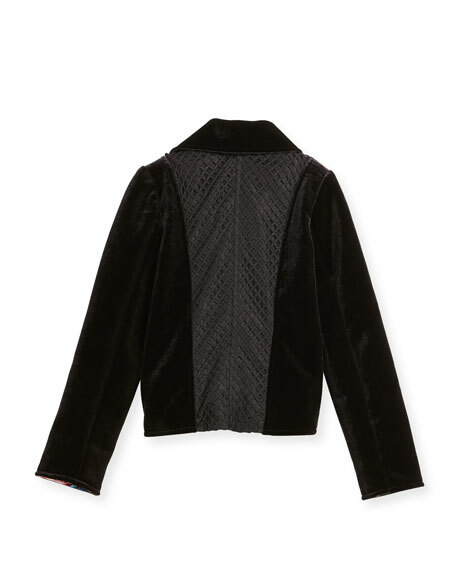 Zoe "Harley" velvet biker jacket with quilted back panel. Notched collar; zip at left side. Made in the USA of importer materials. For in-store inquiries, use sku #2362542.